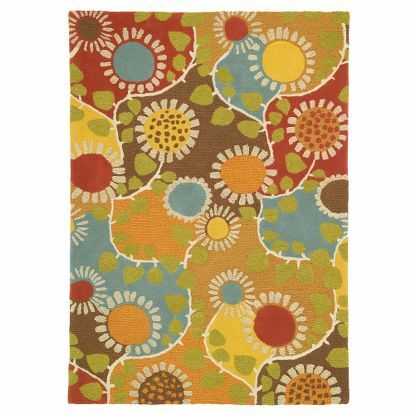 Sunflowers twirl with a cheerful nod to the enthusiastic days of flower power. A textural mix featuring regular and super chunky yarns along with chindi rag rug petals. This happy flashback is perfect for under your kitchen table - or anywhere you need a burst of color. 100% wool, hooked and tufted.